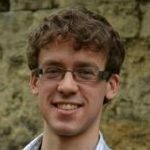 Tom Nelson is a Research Fellow in Classics at Corpus Christi College, Cambridge. In 2018, he completed his PhD at Trinity College, supervised by Professor Richard Hunter (‘Early Greek Indexicality: Markers of Allusion in Archaic Greek Poetry’). His thesis explores the so-called “Alexandrian footnote” and markers of intertextuality in Latin and Greek Literature, with a particular focus on archaic and classical Greek poetry. It examines the manner in which these poets self-consciously signalled their interactions with other texts and traditions. He completed the MSt in Greek and Latin Languages and Literature at the University of Oxford, writing a dissertation on the various analogies and allegories employed to conceptualise victories over the Galatians in Hellenistic Literature and Art. From 1 October 2018, he will be a Research Fellow in Classics at Corpus Christi College, Cambridge. He has recently co-organised a conference on Hellenistic Poetry Beyond Callimachean Aesthetics, 1-3 September 2016 (http://www.castingoffshadows2016.co.uk/), and was also a member of the organising committee for the Cambridge AHRC DTP’s Conference on Time and Temporality, 14-16 September 2016. Teaching materials for his undergraduates is available at http://www.thomas-j-nelson.co.uk/teaching.html. He is very open to any kind of collaborative research and happy to be contacted about any ideas for collaboration, however preliminary. POETRY AND ART FROM ALEXANDER TO AUGUSTUS. Review of P. Linant de Bellefonds et al. (eds.) (2015) D’Alexandre à Auguste. 2018: “The Shadow of Aristophanes: Hellenistic Poetry’s Reception of Comic Poetics” in M. A. Harder, R. F. Regtuit & G. C. Wakker (eds.) Drama and Performance in Hellenistic Poetry, Hellenistica Groningana, Leuven: 225-271. 2019: R. Rawles (ed. ), Simonides the Poet: Intertextuality and Reception (Cambridge, 2018). BMCR 2019.02.46. 2018: C. Tsagalis (ed. ), Poetry in Fragments: Studies on the Hesiodic Coprus and its Afterlife (Berlin; Boston, 2017). BMCR 2018.07.33. 2018: D. Sider (ed. ), Hellenistic Poetry. A Selection (Ann Arbor, 2017). Classical Review 68.1 (2018) 287. 2017: P. Linant de Bellefonds et al. (eds. ), D’Alexandre à Auguste. Dynamiques de la création dans les arts visuels et la poésie (Rennes, 2015). Classical Review 67.1 (2017) 246-248. 2016: S. A. Stephens, Callimachus: The Hymns (Oxford and New York, 2015). Mnemosyne 69.6 (2016) 1070-1073. 2016: P. J. Kosmin, The Land of the Elephant Kings. Space, Territory, and Ideology in the Seleucid Empire (Cambridge MA and London, 2014). Classical Review 66.1 (2016) 180-182.